Africa, especially Sub Saharan Africa, is the last frontier for the growth and development of “in situ” CT surgery programs. The North African countries and the country of South Africa have well established programs. Progress has been very slow in the other countries. In West Africa, Senegal, Ivory Coast, and Ghana have growing programs. Nigeria, with the largest population (180 million) in Africa, still does not have a consistent and sustained cardiac surgery center. Ghana has progressed nicely over the past 20 years. The National Cardiothoracic Center at Korle Bu Teaching Hospital, in Accra, has a very stable academic and clinical program. In September, 2016 a one week visit was made to the National center in Accra. Dr Frank Edwin, the pediatric cardiac surgeon was the host. The goal was to gain an overview of the status of CT surgery in Ghana. A visit with Prof. Kwabena Frimpong-Boateng, the founder and retired chief of the National Cardiothoracic center, provided a persona andl detailed review of the history and present status of CT surgery in Ghana, as well as an overview of the status of CT surgery in all of Africa. His experience and insight is documented in the attached presentation. 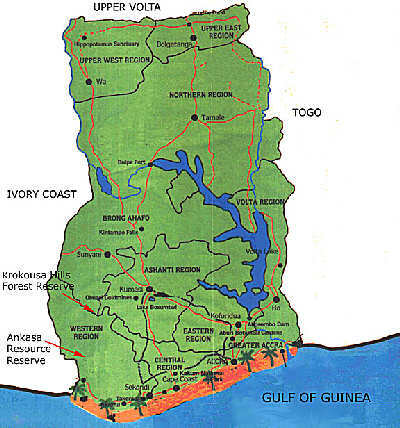 Ghana CT surgery program: Academic with 3 year CT residency teaching/ training program. There is interest in starting a program in Kumasi , and the Boston Children’s Hospital team has been visiting since 2008. Presently CardioStart NGO and another team from China also visit Kumasi yearly but they have no independent operational team as yet. There are 2 surgeons in Kumasi – one trained as a thoracic surgeon from abroad, and the other trained in CT surgery in Accra. The National Cardiothoracic Centre in Accra is a public institution under the Ministry of Health but it has a semi-autonomous status. The Director of the Centre is the chief CT surgeon and has responsibility for the administration of the Center. The center accounts are audited separately from that of the Korle Bu Teaching Hospital. No dedicated intensivist; that role is played by the anesthesists with the surgeons in support. OR – 2 rooms; ICU (6 beds, 4 operational due to low staffing); Wards (28 beds; 7 rooms of 3 beds per room; 6 single rooms; 1 VIP room. Weekly operative days x 4 days/week for CT.
Backlog of cases: Mainly from those unable to fund surgery; pediatric cardiac cases probably around 200; adult cases probably 100. A detailed overview of the history and development of open heart program in Ghana and Sub-Saharan Africa can be gleaned from the reviews below. Western European countries involved: UK, France, Germany, Switzerland, Belgium, Spain, Italy, Saudi Arabia, Monaco.